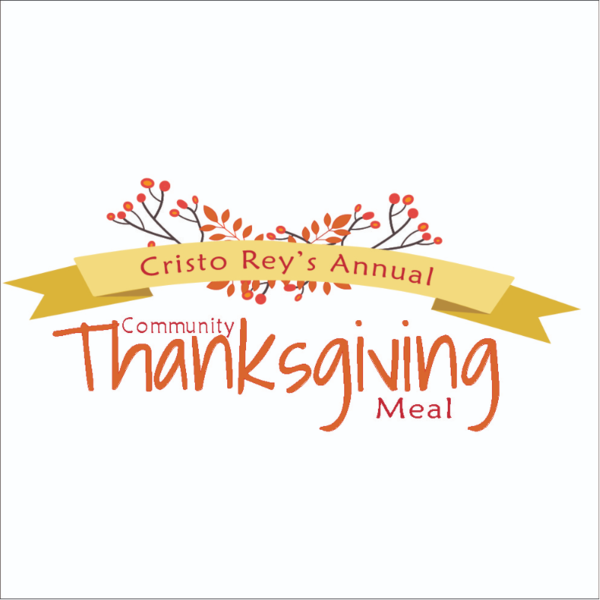 For over 20 years Cristo Rey Community Center has provided a Thanksgiving meal to our community members in need. Join us in creating and serving a wonderful Thanksgiving Feast to our neighbors. Volunteer options include both food donations and opportunities to work the day before and the Thanksgiving Day. All volunteer opportunities are listed below. You can scroll until you find the perfect match for you and your family! Please note we ask for all food to be prepared "serving ready" as we will be reheating and immediately providing to our guests. No frozen or raw items, please. Please thaw pies, if purchased frozen. We will be heating and serving the food only. You can drop this off at CRCC on Wednesday from noon to 6pm. Please fully bake the rolls prior. Please fully cook your dish prior. We will be heating and serving the food only. You can drop this off at CRCC on Wednesday from noon to 6pm. Please fully cook your dish prior. We will be heating and serving the food only. You can drop this off at CRCC on Wednesday from noon to 6pm. Log in to see who is volunteering for Cristo Rey Community Thanksgiving Meal 2018!